Understanding Lift Classification | Florida Wire & Rigging Supply, Inc.
Before you even think about involving yourself in a lift job, you need to go through the ever-crucial planning stage. In planning, you must evaluate the elements surrounding which characterize the lift to categorize it. 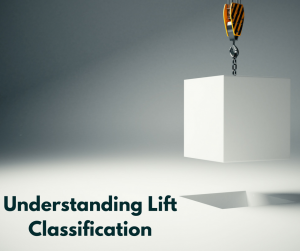 Understanding the classification of your lift allows you to plan better for it. There are three categories of lifts: Incidental lifts, which are also referred to as ordinary lifts, pre-engineered and critical lifts. Very controlled with minimal danger. Routine lifts which do meet the definition of a critical lift, though after assessment they are considered to have had the risk reduced enough to have the lift carried out given the proper equipment and supervision. Due to the high risk imposed by the lift confirmation of engineering is required, because of potential hazards such as location, size, or fragility of the load. Both ordinary and pre-engineered lifts can be classified as critical lifts when the hazards reach significant levels.